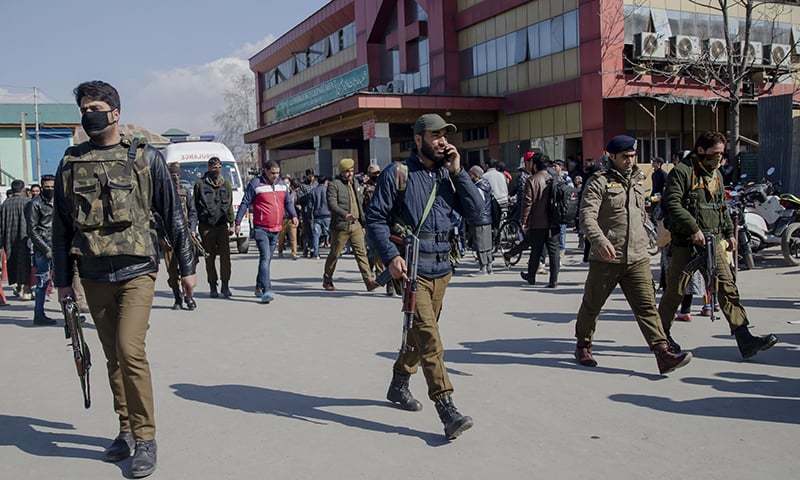 Gunmen fired at Indian police officers and freed a suspected militant being transported to a hospital for a medical checkup on Tuesday in the Indian-held Kashmir, police said. Police officer Ghulam Hasan Bhatt said two police officers suffered bullet injuries in the attack and both died later in Srinagar. The attackers escaped with the alleged insurgent. The militant, belonging to the Lashkar-e-Taiba group, was arrested by police in 2015. Several militant groups have been fighting for Kashmir’s independence from India or its merger with neighbouring Pakistan since 1989. Around 70,000 people have been killed in the armed uprising and the ensuing Indian military crackdown. Anti-India sentiment runs deep among Kashmir’s mostly Muslim population, with most people supporting the separatists’ cause.